When you want something a bit different to fit an unusual space or create a striking focal point in your home, our bespoke windows are for you. 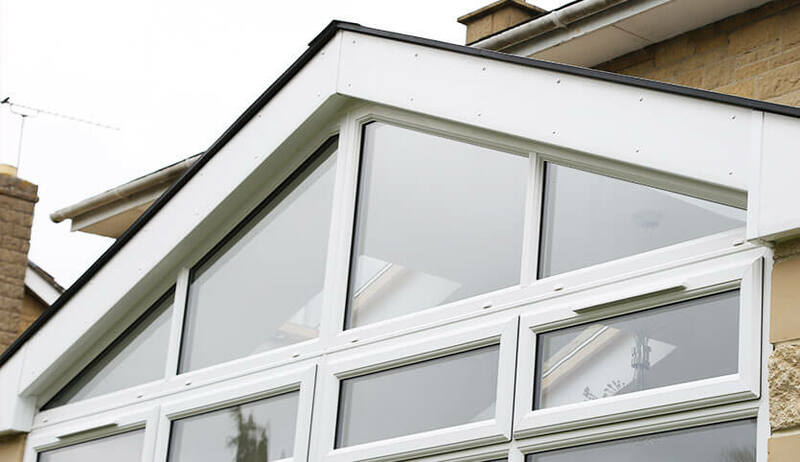 Using uPVC, aluminium, or timber, we will work with you to design a unique window to meet your exact specifications. Tailor-made for you, our bespoke windows are the perfect solution for any installation which is described as non-standard. Bespoke windows come in all shapes and sizes. Whether you want oversized windows to maximise natural light intake, or small windows for installation in shower rooms, cloak rooms, or utility rooms, we’ll endeavour to meet your requirements. 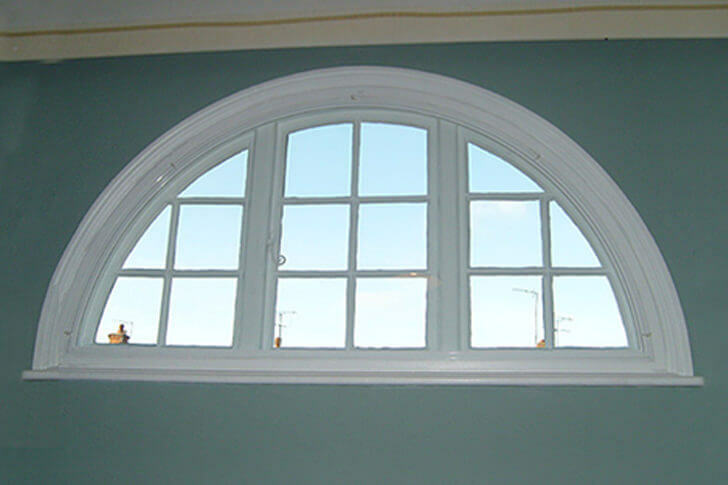 We can install round, arched top, triangular, hexagonal, and octagonal windows. 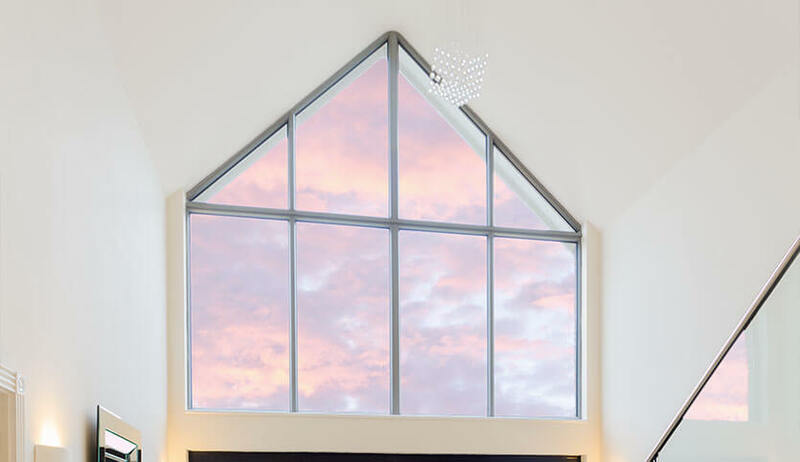 Specify stained glass, obscured glass, or textured glass sections to increase privacy or enhance your home’s individual character. Our bespoke windows may look different from the conventional, but their energy efficiency capacity is equally high. Like all our window options, our bespoke windows will help to boost your home’s performance saving you money and improving your standard of living. 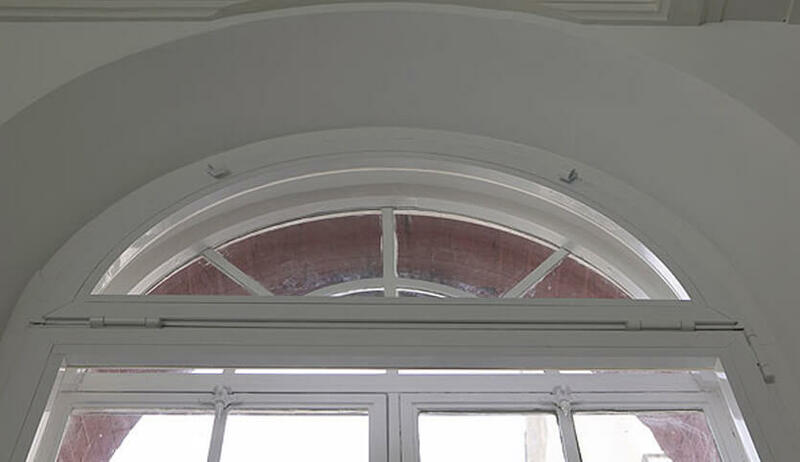 When you need an unusually shaped window, our bespoke window design service is a great idea. Our bespoke windows can be further customised by choosing uPVC, aluminium, or timber. Our uPVC, timber, and aluminium bespoke windows are double glazed for a warmer, safer home. Customise your frames and add Georgian bars in a variety of configurations. Whatever shape and size you choose for your bespoke windows, we offer a variety of high performance glazing.